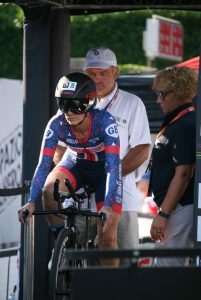 Chapeau to Sarah Short who has just nailed 4th at the UCI World Chrono event. In doing so she raised her game to beat many rivals. Success does not happen overnight, it is earned through years of hard training, practice and perfecting her riding on a TT bike. learning to ride fast by pacing her efforts and improving bike handling skills.